I’ve just returned from a five-week sojourn teaching Executive MBA and Global MBA Strategic Brand Management courses at the SP Jain School of Global Management in Dubai, UAE. And, of course, when I teach abroad I like to see some of the local attractions so I expected that I’d go to see the majestic Burj Khalifa, which at over 828m is touted as the tallest building in the world, and its nearby companion The Dubai Mall touted as the world’s largest shopping and entertainment destination. What I didn’t expect to see is Tim Hortons and Second Cup—two of Canada’s leading coffee house brands. 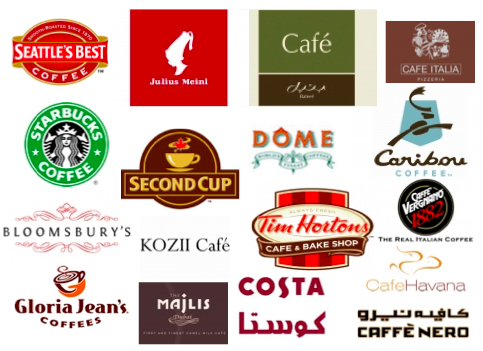 What I discovered is that Dubai and the UAE are ground zero for the war between coffee house brands in the Middle East. The Dubai Mall alone boasts more than thirty coffee house brands from North America, the United Kingdom, and continental Europe, along with local offerings such as Bateel—many having multiple locations in the mall. So what’s driving the current dizzying rate of growth in coffee consumption in the UAE and Dubai? 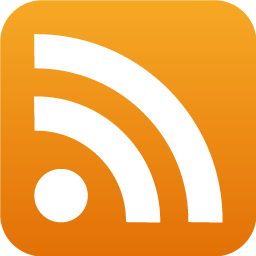 Several key factors are driving this growth in demand. The government’s decision to diversify from a trade-based, oil-reliant economy to one that is service and tourism oriented in the early 2000s provided the impetus for rapid population growth. The population of the UAE is now approaching 8 million, of which 87.5% are expatriates. 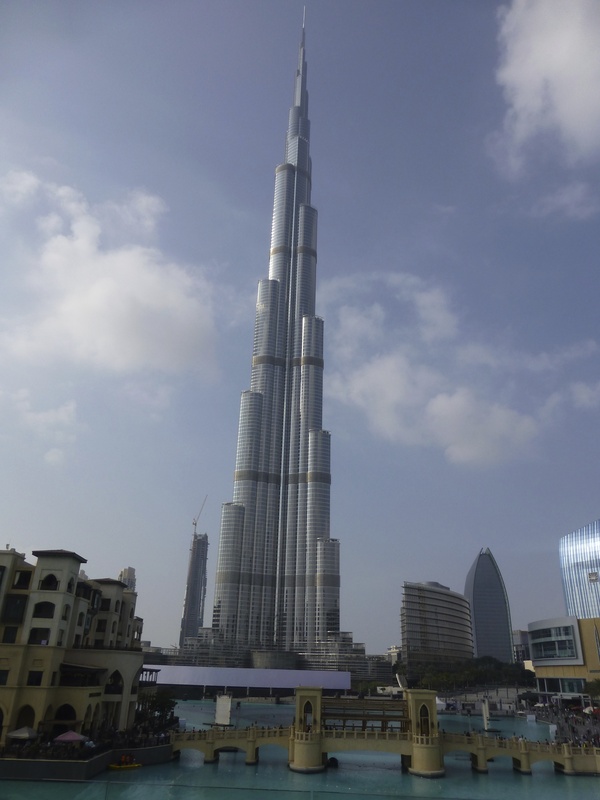 10 million tourists and business visitors are expected to visit the UAE in 2013. According to a recent article in the Toronto Sun, “Cushioned from pro-democracy protests by wealth and a small indigenous population, Dubai has used its Emirates airline [Abu Dhabi its Etihad airline] and strategic location midway between Europe, Africa and Asia to persuade transit passengers to spend at least a couple of days” shopping at its world-class shopping malls and enjoying the regions sunny climate and beaches. Coffee houses have historically been an important facet of social life given the strict regulations governing the sale and consumption of alcohol within the region. Dubai’s licensing laws require venues serving alcohol to be attached to hotels and private clubs. It is illegal to serve or sell alcohol to Muslims and the legal drinking age is 21 for residents and visitors. Given these regulations together with the expected steady growth in the resident population and tourism and business travel, the business environment in the UAE is expected to provide fertile ground for the aspirations of coffee house brands in the foreseeable future. Tim Hortons has now opened its 20th store in the GCC since signing a Master License Agreement (MLA) with the Apparel Group in 2011. The MLA with the Apparel Group is expected to lead to the opening of 120 multi-format restaurants over a five-year period in UAE, Qatar, Bahrain, Kuwait and Oman. The branding, retail identity and format of these Tim Hortons Café and Bake Shops is fresh and contemporary and more like recently opened Tim Hortons stores in the United States than those in Canada. The Tim Hortons brand is positioned as a quick service restaurant that blends, top quality, always fresh product, value and great service. 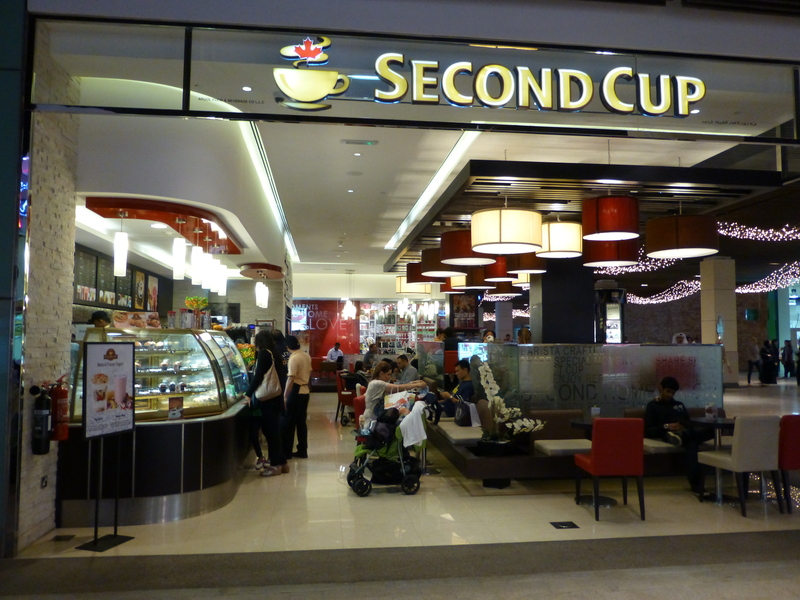 Second Cup opened its first store in Dubai in 2003 and now has 13 stores within the UAE and 46 stores across the Middle East. The Second Cup Coffee Company Inc., a privately owned Canadian company of Mississauga, Ontario, bought the Second Cup international trademarks in November 2006 and operates through its Second Cup International Division. Bin Hendi Enterprises is the Middle East master-franchisee. The Second Cup Ltd., a publicly listed (TSX) company, owns and operates the trademarks in Canada. The branding, retail identity and formats of these Second Cup stores are markedly more contemporary and sophisticated than the Canadian stores. The Second Cup brand is positioned as the ultimate coffee experience delivered by the leading specialty coffee retailer in Canada. It makes its allegiance to Canada explicit through the addition of the Maple leaf to the Second Cup logo and on the Bin Hendi Enterprises corporate website. The UAE is currently home to an estimated 27,000 Canadian expatriates and the Gulf state is Canada’s largest trade partner in the Middle East and North Africa region. 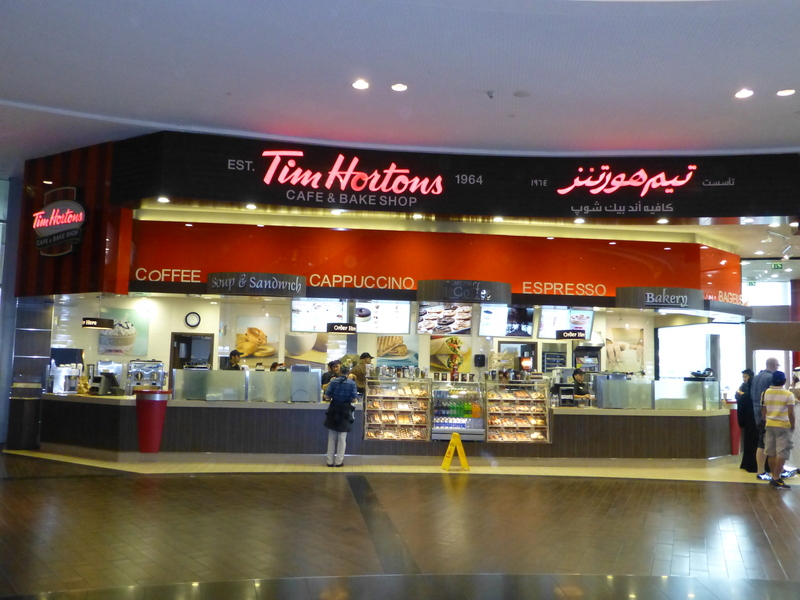 This fact together with the broad environmental factors driving the growth of coffee consumption within the GCC region should continue to provide significant opportunity for the continued growth of Tim Hortons and Second Cup during this decade. This entry was posted in Brand Strategy, Culture, Marketing Strategy and tagged brand strategy, branding, culture, Dubai, EMBA, marketing strategy, MBA, physical evidence strategy, Second Cup, SP Jain School of Global Management, Tim Hortons, UAE. Bookmark the permalink. 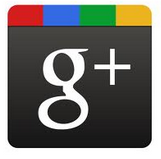 Hello Hany, My thanks for your comment. “Thriving” means “prospering” or “doing well” and so seemed appropriate for the title of the article. Very interesting read. I knew there was a gradual shift in Gulf nations’ economy from being oil-dependent to Service and Tourism dependent; but it’s certainly great to see real-life examples. Thanks for your comment Priyanka. While oil is still very important there is an on-going shift taking place. Welcome Home Ashley. Great to hear how our brands are doing in places of the world that I haven’t been to. I think that Tims’ US experience has taught them a lot about expansion beyond Canada and hopefully the small licensing arrangements that they have dipped into in parts of Europe might grow into businesses that are more worthy of the brand name. As far as implications for global branding, it sounds like they are trying to create a brand that is quite harmonized outside of Canada and it is an interesting strategy. So often we see companies trying to create the global brand that replicates the ‘home’ brand and Tims is doing it the other way around and so is not losing its local personality nor trying to foist it on to consumers who would not understand and appreciate its nuance. Looking forward to your other tales from abroad. Best, Kate. Hi Ashely, nice sharing about the Canadian brands in Middle East. I would like to hear your ideas about how to develop Tim Hortons or Second Cup in China.